SINGAPORE - Come end-2018, visitors will be able to take a walk through history at the upcoming Thomson Nature Park. When work on the 50ha nature park is complete, history buffs will be able to use the trails winding through the park for a glimpse of the ruins of the old Hainan village and rambutan plantation formerly located at the site - the first time that nature and history are meeting in plans for a nature park. Other than viewing the old houses, staircases and village foundations from the same trails the villagers used to walk on, visitors can also get a taste of Singapore's rich biodiversity at the upcoming Thomson Nature Park, which sits just outside the Central Catchment Nature Reserve - the Republic's largest. Mature trees more than 50 years old, for instance, can be spotted in the rustic nature park, and keen-eyed visitors may also see animals like the samba deer and leopard cat. 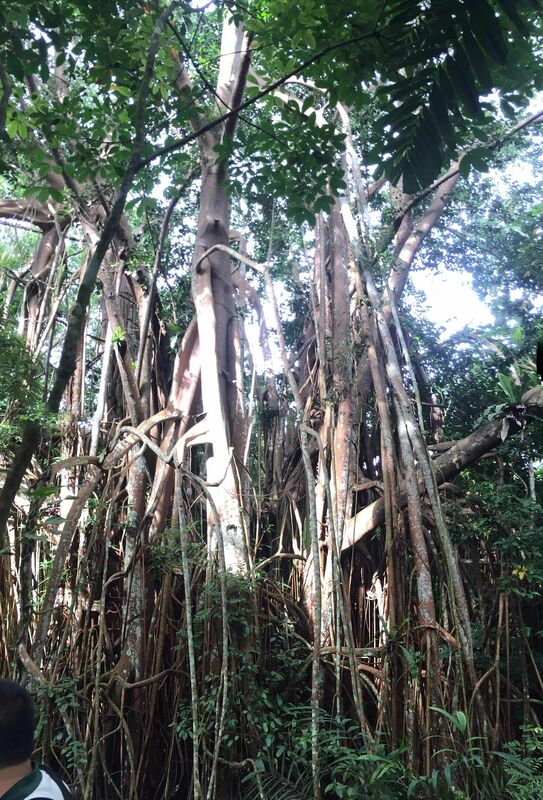 In unveiling plans for the Thomson Nature Park on Saturday (Oct 8), the National Parks Board (NParks) said it will continue to enhance the forest habitat by planting native tree species there when works start in early 2017. This will help with forest regeneration, and facilitate the movement of rare animals, between forest patches. 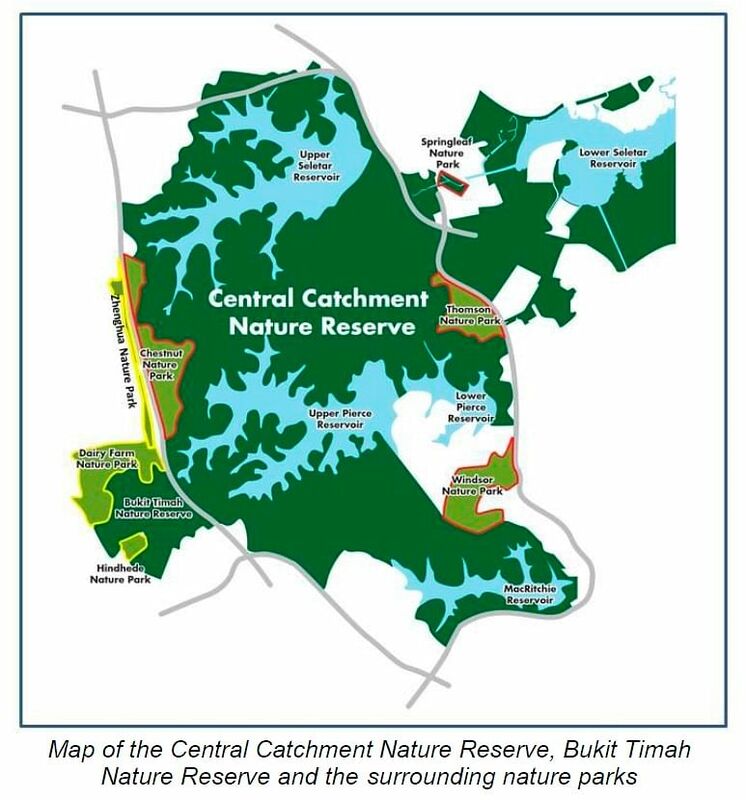 The Thomson Nature Park is one of four such parks announced by NParks in 2014 to extend the green buffer for the Central Catchment Nature Reserve. The Thomson, Springleaf, Chestnut and Windsor Nature Parks aim to reduce visitorship pressure on the nature reserve, one of the last bastions of biodiversity in built-up Singapore. Plans for the other nature parks have already been announced, with Springleaf and Chestnut already welcoming crowds. Windsor is expected to open in early-2017. The reserve is home to animals such as the Sunda pangolin and the straw-headed bulbul, both of which are critically endangered globally. They have also been spotted at the current site of the upcoming Thomson Nature Park. But in particular, the newest nature park serves as a key conservation site for the Raffles' banded langur - the elusive, black-and-white cousins to the long-tailed macaques commonly seen in urban areas. This is because the Thomson Nature Park sits next to Lower Peirce Reservoir in the Central Catchment Nature Reserve, and lies within the area where these animals forage for food. Dr Adrian Loo, director of the terrestrial division at NParks' National Biodiversity Centre, told The Straits Times that the Board will work to conserve this species through methods such as planting the known food trees of the Raffles' banded langur, and ensuring that canopies of trees on both sides of nearby roads meet, to allow the arboreal creatures to move around. "Having these nature parks near but not within the reserve will allow members of the public to enjoy the outdoors with their families and that takes pressure off our very precious nature reserve."